Stories from the March 19, 2015 issue of the GW Hatchet. If GW is serious about improving campus culture, it must think carefully about “diversity” among the people we interact with most closely and consistently: professors. Many of my friends at GW did academic sports in high school, but dropped out once they got to college. But these organizations can afford their members a wide range of benefits, from discovering a passion for public speaking to boosting resumes. 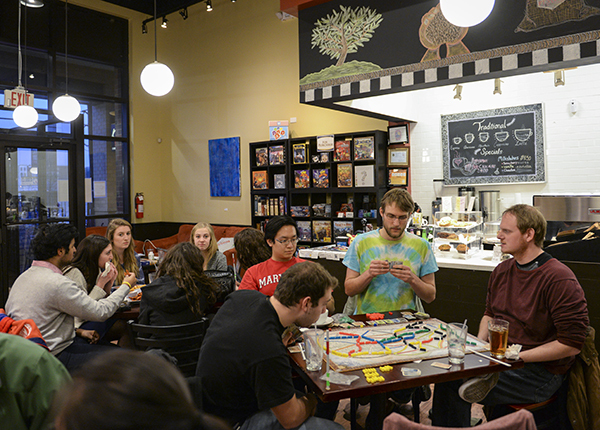 The 45-minute journey is worth the time (and a little patience) because the University of Maryland has the college vibe GW lacks with its endless fast food, white-pillared Fraternity Row and student deals galore. That’s right, someone from the fashion heavens has performed a great miracle upon those confined to shamefully slipping on their sheepskin boots in the privacy of their rooms. Those who don’t frequent the G Street building should care for the sake of caring – to demonstrate that they’re allies. Most students here will never know the experience of walking into a classroom and not seeing anyone who looks like themselves, or of living in a building with few people from similar backgrounds. Despite impressive performances all season, seats remained vacant in the Smith Center for much of the regular season. The women’s team has still fallen victim to the same perception and disinterest that plagues women’s sports, and women’s basketball in particular.